black community since Reconstruction. As other southern school boards routinely closed black schools and displaced their educational leaders, Hyde County blacks began to fear that school desegregation was underminingrather than enhancingthis legacy. 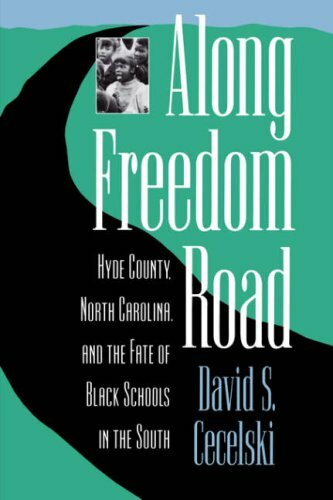 This book, then, is the story of one county's extraordinary struggle for civil rights, but at the same time it explores the fight for civil rights in all of eastern North Carolina and the dismantling of black education throughout the South. Historian David S. Cecelski is author of The Waterman's Song: Slavery and Freedom in Maritime North Carolina and co-editor (with Timothy B. Tyson) of Democracy Betrayed: The Wilmington Race Riot of 1898 and Its Legacy.